Our adventure in spirit-making began in early 2010 when the home for The Liberty Distillery was secured and the names TRUTH, TRUST & ENDEAVOUR were trademarked. It would be four years of construction and meetings with government offices before final approval, but we would not be deterred. Since our official opening, The Liberty Distillery on Granville Island has been offering Vancouver’s first hand-crafted, premium spirits made from 100% BC organic grain. 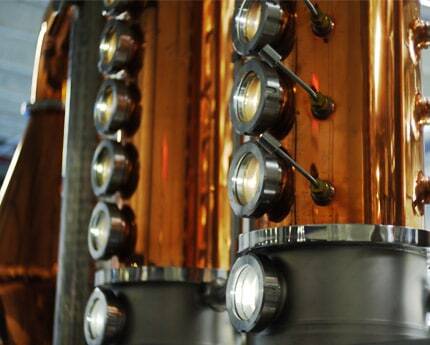 Authenticity, quality and heritage are the heart of The Liberty Distillery’s philosophy. We wish to celebrate and pay homage to the venerated traditions of distilling, so our spirits are fermented and distilled onsite following exacting recipes. We perfect each batch by meticulously controlling every step – from the fermentation of our selected organic grains to manually ‘making the cuts’ during the triple distillation process in our customized handmade copper stills, crafted by German Master Christian Carl. We’re passionate about our craft; creating traditional yet unique spirits that provoke the senses, spark the imagination and seduce the most discerning palates, while reflecting the history of Vancouver and the natural beauty of British Columbia. We’ve found a perfect fit amongst the diverse offerings of Granville Island and we strive to be environmentally friendly and socially responsible in all aspects of our spirit production. In many cultures history is taught through storytelling. The Liberty Distillery passes on tradition, knowledge, and education with its own form of storytelling. We invite you to step back in time to gather with your friends at our 110 year-old Saloon Bar to taste and socialize. Relax and enjoy… our hospitable team and Master Distiller will make you feel at home while educating you on the nuances of fine hand-crafted spirits. After a little socializing, tasting and shopping at The Liberty Distillery visit one of the many artisan boutiques on Granville Island. Pick up some fresh local produce at the island’s famous public market, and perhaps take in a show at the Arts Club Theatre or wander the seawall; there is so much to see, do, and experience! 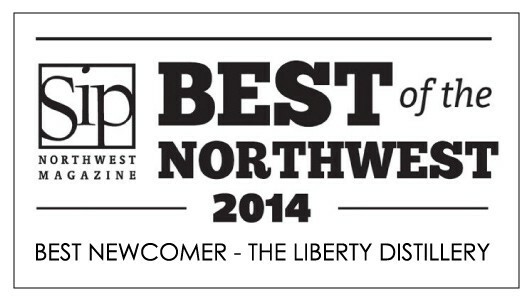 We look forward to seeing you soon at The Liberty Distillery to share our story and the art behind craft distillation. – Cheers!